Hello, my name is Liz. I'm the writer and artist who makes Keeper of the White Rose. Thanks for looking at my comic. I'd love to hear your opinions; if you think you know how I can improve or you just like my comic then leave me a comment. 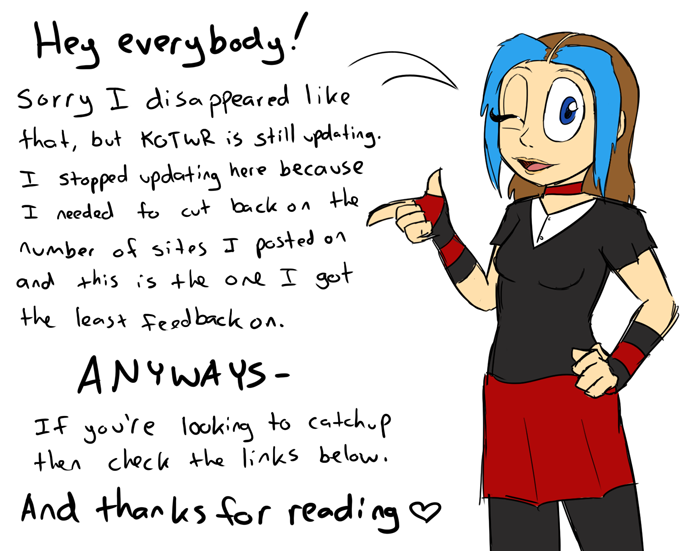 You can also find extra KOTWR art at my gallery on DEVIANTART. Read all about it on the newspost over on its front page.